Hope you all have a blasting last week, from today onwards; we will bring you the Weekly update from the mobile world, covering all the new launches, big announcements, major updates and much more. To start with let’s find the news from the mobile world which was in the news for the week ending on 4th June 2016. Le Eco is all set to launch its new devices in the market, LeEco 2, Pro & Le Max 2. According to news the devices will be available for the sale immediately after the launch in India, but might be available on the Amazon instead of Flipkart. According to the news, LeEco will launch the Le 2 at a price of Rs. 12,999 with first sale of Rs. 11,999 to take on competition (mainly Yu Yunicorn). One of the major attractions of the week was the launch of “YU Yunicorn.” The phone is priced at INR 12,999/-for first month, which will go up to INR 14,999/- after that. The device will be launched exclusively with Flipkart for sale, with the registration opening at 2 PM today (31st May 2016) for the first sale on June 7. The first flash sale will feature a 10 percent cashback for SBI users. LG has launched its new device LG G5 with 5.3 inch 2560 x 1440 pixel display at the price range of Rs.52,990 (INR) with free Cam Plus. The phone is featured with Qualcomm’s new Snapdragon 820 chipset, 4GB of RAM. LG now actually offers two camera modules on the back: a regular 16-megapixel image and a 135-degree wide angle 8-megapixel camera a unique in its own. iPhone is finally dropping 16 GB variant. Apple is all set to drop its most popular variant of iPhone with iPhone7. The 16 GB variants will be replaced with 64 GB variant with iPhone7. 16 GB variant is one of the most popular models, because of the price. Will hope, Apple prices the new variant similar as 16GB. 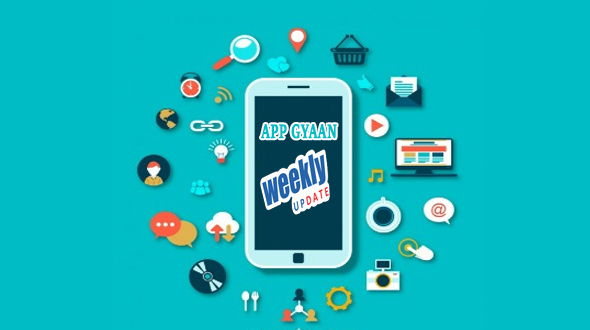 Hope you have liked new series about the updates of week, do share your views and opinions in comment section below. Next week highlight will be the LeEco event on 8th June, 2016. We will be back with all the updates.